Katherine Grainger and Anna Watkins win gold in the women's double sculls final. Team GB shattered their own world record as they defended the men's Olympic pursuit title to win Friday's second gold medal for Britain. The quartet of Ed Clancy, Geraint Thomas, Steven Burke and Peter Kennaugh clocked three minutes 51.659 seconds to knock nearly a second off the world record they set in qualifying. 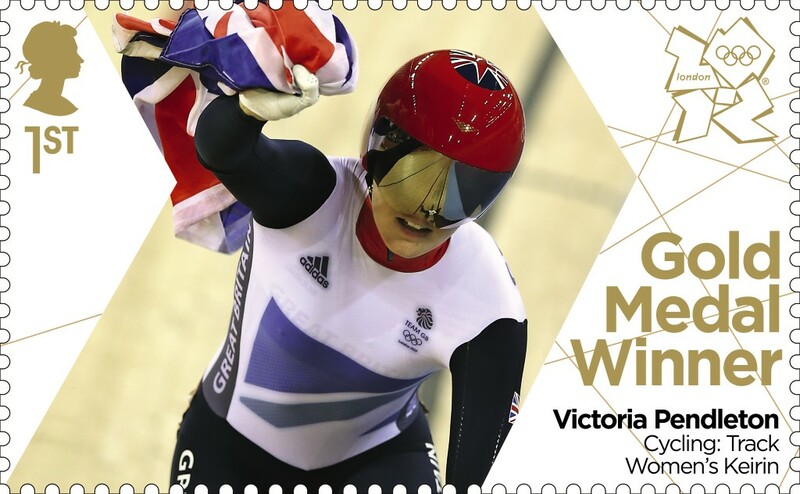 Victoria Pendleton wins cycling gold for GB in women's keirin. This is starting to get expensive! It is going to get very expensive - IF you can get the stamps at all! Are they only being released in London? I couldn't find any Pembrokeshire POs selling them next (nearest seems to be Swansea) day but they will be at Haverfordwest, Milford Haven, Pembroke Dock etc on a weekly distribution. 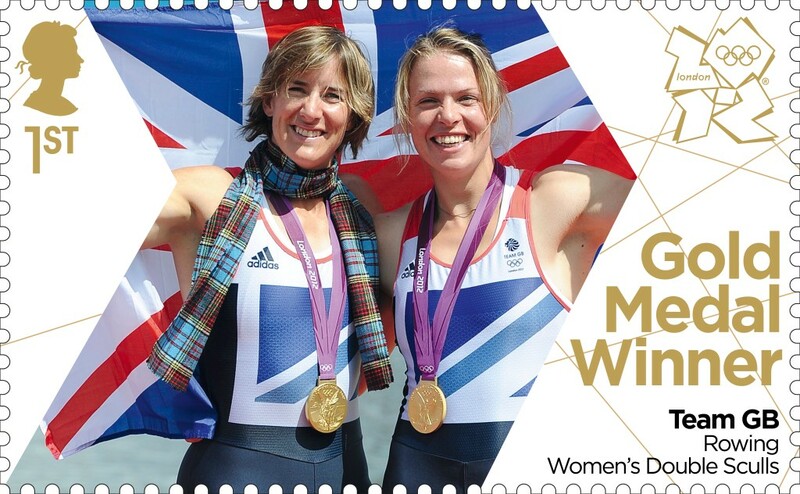 See Post Office website, use Branch Finder and select Gold Medal Weekly to find your nearest. I started getting sets & FDCs with single stamps for the first two days, now I have given up because it IS getting expensive. 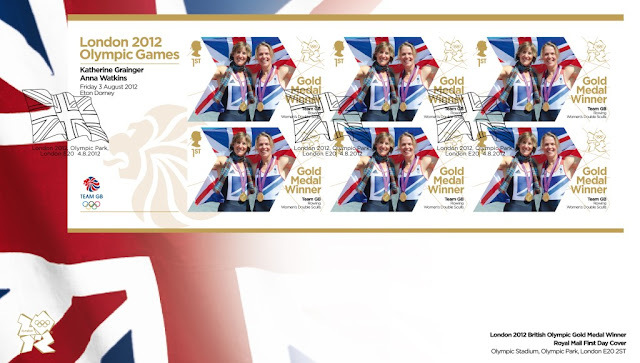 Why cannot we buy single stamps? 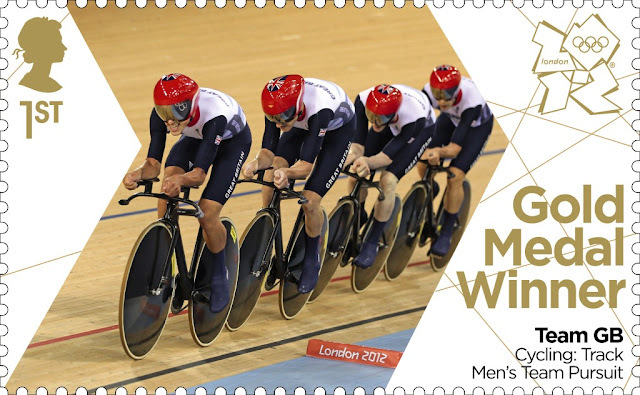 Single stamps are - or will be - available, and FDCs can be submitted all month, irrespective of when you actually get the stamps. 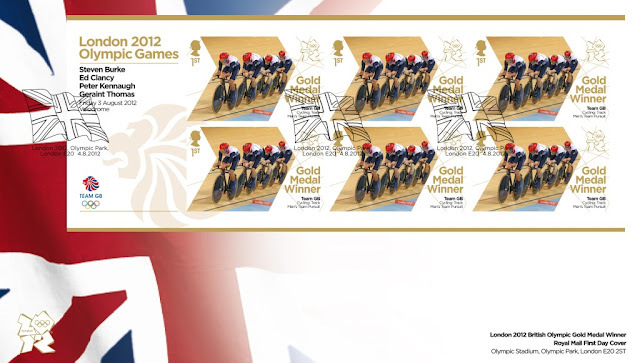 See other blog posts or our webpage for gold medal stamps. I was told by the staff in Manchester that we could only buy them in sheets of 6, and when I took one off the sheet and put on the FDC they initially said I had to put ALL SIX on the FDC - until a more senior member of staff confirmed that just one was sufficient. A lot of misinformation at PO Counter level, sadly. Probably because some of them never read instructions properly anyway.